Cambridge University Hospitals NHS Foundation Trust (CUH) comprises Addenbrooke’s Hospital and the Rosie (maternity hospital). With 1,000 beds and employing around 9,000 staff, the Trust is the teaching hospital of the University of Cambridge, providing high-quality healthcare for the people of Cambridge plus specialist services for rare or complex conditions for regional, national and international populations. 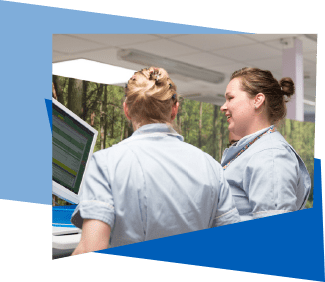 Royal Papworth Hospital NHS Foundation Trust is the UK’s leading heart and lung hospital treating over 100,000 patients each year. The hospital is the country’s largest heart and lung transplant centre and the only national centre for a range of specialist cardiothoracic services. It is also the UK’s largest sleep centre. Royal Papworth is moving to a new state-of-the-art hospital building on the campus in Spring 2019. NHS Blood and Transplant provides a reliable, efficient supply of blood and associated services to the NHS in England. It is also the organ donor organisation for the UK and is responsible for matching and allocating donated organs. 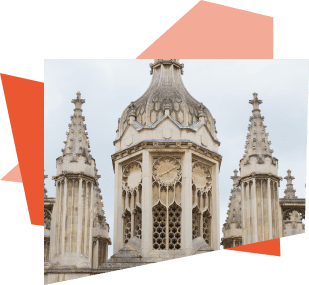 The University of Cambridge is consistently ranked in the top five universities in the world. The School of Clinical Medicine is housed in multiple buildings across the CBC and comprises 12 Academic Departments, four Research Institutes and five Medical Research Council (MRC) units. It conducts internationally excellent peer-reviewed basic, clinical and translational research relating to a diverse range of medical conditions and treatments. 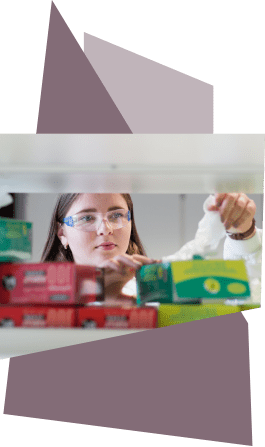 The Medical Research Council Laboratory of Molecular Biology (MRC LMB) is a world-class research institute dedicated to understanding important biological processes, providing the knowledge needed to solve key problems in human health. The Institute has made revolutionary contributions to science such as pioneering the sequencing of DNA and the development of monoclonal antibodies. Eleven Nobel Prizes have been awarded for work carried out by LMB scientists. Since 2013 the Institute has occupied a purpose-built, £212 million facility on the Campus with state-of-the-art facilities and a unique scientific culture. Project Capella is a new building containing state-of-the-art laboratories currently under construction for the University of Cambridge. Capella brings together researchers working on the immune system and stem cells as well as on collaborative and translational research. Capella will be home to three institutes – the Wellcome-MRC Cambridge Stem Cell Institute, the Cambridge Institute of Therapeutic Immunology and Infectious Disease (CITIID), and the Milner Therapeutics Institute. The building will contain state-of-the-art research facilities along with a café, seminar room and exhibition space for events and will bring together 650 members of staff who are currently located across a number of university sites. Built by Kier Construction and designed by architects from The Fairhurst Design Group, the six-storey centre will be located directly next to the Cancer Research UK Cambridge Institute on Puddicombe Way. 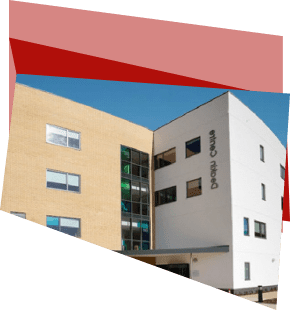 The Deakin Centre — £6 million building adjacent to Addenbrooke’s Hospital, with hands-on practical teaching areas and state-of-the-art classrooms for Health, Social Care and Childcare students. Cambridge Academy for Science and Technology — Working closely with organisations at CBC and located to the north of the Campus, UTC is an academy focused on educating and training 14–19 year old students for careers in science and technology. AstraZeneca and its global biologics R&D arm MedImmune are building a new Strategic R&D Centre and global Corporate Headquarters on the Campus. The facility brings together AstraZeneca’s small molecule and biologics research and development activity, furthering opportunities to develop the next generation of innovative medicines through collaboration. It will become the company’s largest centre for oncology research, as well as housing scientists focused on cardiovascular and metabolic diseases, respiratory, inflammation and autoimmune diseases and conditions of the central nervous system. The site will also be home to a joint research centre which will see MRC-supported researchers working side-by-side with AstraZeneca’s high throughput screening group. GlaxoSmithKline’s (GSK) Experimental Medicine and Clinical Pharmacology unit is housed in the dynamic and interactive environment of Addenbrooke’s Hospital. Innovative early phase 1 and 2 studies are designed, set up and executed using the principles of experimental medicine. GSK’s position on the Campus has enabled it to develop a large number of academic links and collaborations to support and conduct experimental and translational studies and to recruit patients by partnering with local networks. As an innovator in reagents and tools, Abcam’s purpose is to serve life science researchers globally to achieve their mission, faster. Providing the research and clinical communities with tools and scientific support, the Company offers highly validated biological binders and assays to address important targets in critical biological pathways. Already a pioneer in data sharing and ecommerce in the life sciences, Abcam’s ambition is to be the most influential company in life sciences by helping advance global understanding of biology and causes of disease, which, in turn, will drive new treatments and improved health. ideaSpace South is a co-working area for people and companies with scalable, innovative ideas which could potentially have a global impact. Through its membership programme, ideaspace offers new companies a stimulating working environment, the ability to share experiences with like-minded start-up founders and access to some of the UK’s most successful entrepreneurs and investors. IOTA Pharmaceuticals is an oncology drug discovery company, specifically focussing on brain cancer. We are developing a range of new cancer diagnostics to underpin the development of next-generation cancer drugs and therapies, and are dedicated to finding new, effective therapies for brain cancer within the next 5 years.